Mrs. Claus was good to me this year, and she came through with one of the items from my Holiday Gift Guide posting, the Doane Paper Leather Works Utility Notebook Cover. I wanted something that would protect my pocket notebooks so they don't get destroyed when I carry them around in back pocket for a weeks/months. Opening the box revealed this card. Genuine leather? Sure! Handcrafted? Excellent! 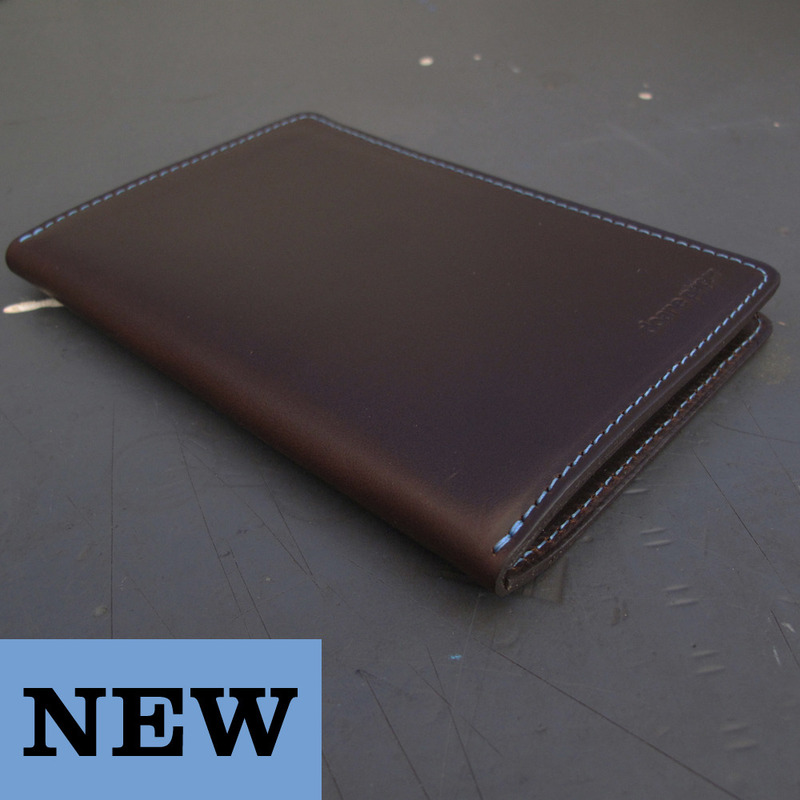 The leather for this product was sourced through Horween. If you go to their site, you can see that they take leather making very seriously. On the other side of the card, you get more information about Horween and the techniques used to produce the (exceptional) leather. Alas, the notebook cover. The notebook features a light blue stitching reminiscent of Tiffany's blue. The leather is thick, soft, and just feels durable. The semi-dark brown looks classy and rugged. 'made in the USA' is stamped on the back, which is rare to see these days. Do you see that stitching?! The notebook cover includes one utility notebook. If you haven't tried Doane's paper products, they are excellent. I love the way the grid + lines layout offers a friendly way to switch between standard text and charting, graphing, and planning. We have a lot of projects at home right now, so Doane is perfect for coordinating the to-do lists, supplies, and necessary time lines. During school, Doane serves me well on any assignments that I have, especially during the initial stages. 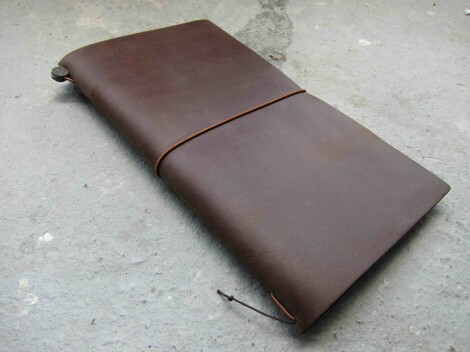 In short, it is easy to recommend Doane paper, and this Leather Works Utility Notebook Cover is exceptional. Go get one (when they are back in stock). When I first bought these, about a year ago, I had meant to review these immediately, but, alas, that did not happen. Staples had these as a buy-one-get-one, so I jumped on the opportunity to stock up. These pens performed exceptionally well. The ink doesn't feather, bleed, and the ink barely shows through the other side of the page in this Ampad Gold Fibre notepad. The colors in this image are slightly more muted and brighter than the appearance of the ink in real life, and even the orange is very easy to read. The colors are exactly what I had hoped they would be. The torpeda shape of the grip section allows me to hold the pen as a choose, which is typically right next to the nib/point/tip. The grip section is very "grippy", and the barrel doesn't move at all as I write. The point is some sort of plastic and holds up very well against my heavy hand. I love the design of the barrel, the ink-to-paper experience, the grip, and the secure *click* of the cap. With the exception of the barrel scratching very easily, these pens are flawless. I absolutely recommend these, and I applaud Sharpie for this excellent product. Sorry for the delay in postings; I just finished up another semester of grad. school, and I am very relieved it is over. So, I will try to post more frequently going forward. A few weeks ago I made trip to my campus bookstore. One of the items I picked up was this, the Pilot Bravo, a pen I had never before seen on any store shelf. This is the same store where I found the Alvin Penstix I recently reviewed. As it was sitting on the shelf, I initially thought it was a Pilot Varsity and, as you can see, the barrel and cap are quite similar to a Varsity. The ink poured jet black on this Staples Bagasse notepad. The ink did not feather or bleed, but it did show through quite a bit on the other side of the page. I loved how dark and smooth the ink was, but I did not enjoy how sloppy it made my writing look - even if my writing doesn't look so great to begin with. The overall weight of the pen is fairly light. 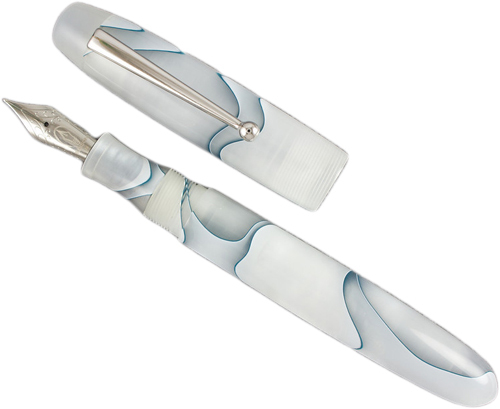 The barrel is thicker than many pens and is comfortable to hold. In my ink review, I classified this as a sign pen. It is somewhat like a regular Sharpie Marker, but it doesn't seem up to the heavy-duty work of a permanent marker. I also noticed that the tip seemed to be losing its shape after just one page. I don't know how much life one could expect to get out of this tip, but maybe you don't mind if point conforms to your writing style. Given how close this design to the Varsity is, I am curious about pulling out the cone/ink section to see if this could be used as an eyedropper. I'd like to give this pen away, so I didn't try it on this one. So, a cool little pen, but one that I have little need for. I think people that love super bold points or people that like to make large sketches would dig this pen. Has anyone else ever used this one? I'd like to hear what your thoughts are. Congratulations Melody! You have won the giveaway. Please contact me when you get this to claim your prize. For everyone else, stay tuned. I will have more giveaways coming up soon. Be sure to check out the December Carnival of Pen, Pencil & Paper over at Pocket Blonde! Economy Pens Holiday Gift Guide + JetPens Giveaway! Brad, of The Pen Addict and JetPens, recently asked me if I would be doing a Holiday Gift Guide. I had not considered doing one, but I think it is a great idea. I've chosen a few of my favorites and several other items I desire to own, but overall I think most pen, paper, and ink fans would love to receive some of these. Make sure to pay attention to the end of the posting, because JetPens is sending out a $10 gift card to one person's comments on this posting. I will be adding to this list over the next few days, but I wanted to get it up so people could start commenting! And,without further ado, here is the first annual Economy Pens Holiday Gift Guide! This is the first, and only, brush pen I have used, but I think it is great fun to use. 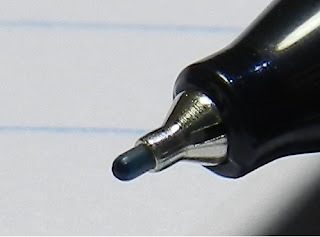 The tip is hard enough to be able to write with without too much variation, but additional pressure allows for a good amount of flex in the tip. I can easily recommend the Fudenosuke as a worthwhile addition to your next JetPens purchase. 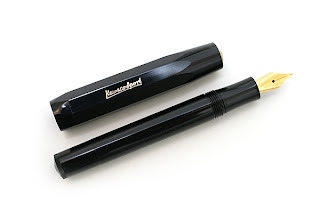 The Kaweco Sport is not only an excellent starter fountain pen, but it is just darn good all around. You can get the Sport in a variety of colors and nib sizes, and the barrel is designed for on-the-go travel. 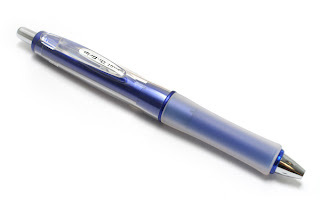 While some people have found small converters or used this pen as an eyedropper, the pen primarily accepts short international cartridges, which I usually just refill with a syringe. I'd say this pen or a Lamy Safari are a great gift for people wanting to see what a fountain pen is all about. 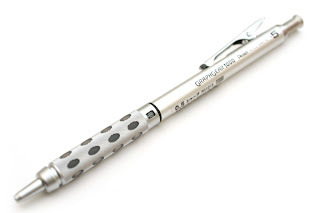 Between the lead indicator, the excellent grip, the retractable sleeve, and the superior build quality, this is one of my favorite writing instruments. If I am in the mood to carry a pencil, this is my go-to choice. Highly recommended. If I am going to be away from home for more than I few days, I want a nice selection of writing tools with me, and this is the pencil case I use. This pouch has ample storage for even the most indecisive of tastes, and you can get it in a few different colors. 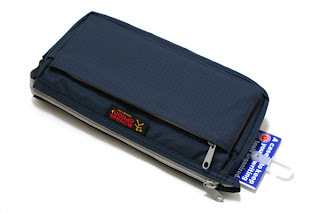 Nomadic also has other models of pencil cases worth checking out if you don't like the format of this one. 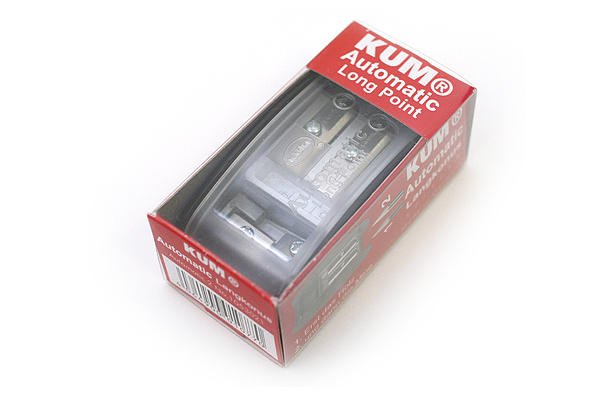 If you want a sharpener that has great utility and does the job well, it is hard to beat this offering from KUM. This sharpens pencils in a way that results in a longer point, which is great if you prefer a sharper point or more lead exposed, as one might desire for shading/sketching. It also includes a lead pointer for your 2 mm and 3.2 mm leads, as well as spare blades. Yes, it is just as great as it sounds. This past summer I signed up for a Field Notes Colors subscription, which includes four shipments (postage paid) of limited edition notebooks + free goodies. These are the primary notebook I carry with me (If not Doane or the Clairefontaine Roadbooks), and it is great to get packages of unique notebooks every few months. 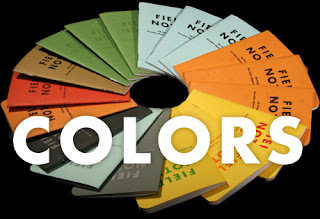 The Field Notes Colors subscriptions is only $97 right now; I paid a good bit more, so you can get this offer cheaper than ever. 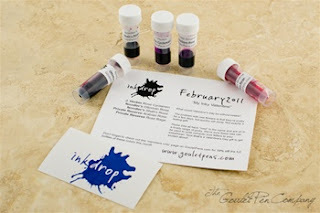 If you want a variety of great fountain pen inks each month without investing in whole bottles, you might be interested in subscribing to the Goulet Pen Co. Ink Drop. $10 per month gets you five ink samples and a special member page with exclusive discounts. I don't own one of these, but I would like to get one, especially after reading posts about it over at Scription. I own quite a few journals, but many of them do not have covers that would last beyond a few months being brought outside or in a pocket all of the time. I've read a lot of good things about this journal, and I think most journal fans would enjoy it, too. Ballpoint pens are not usually my favorites, but this one got me through very lengthy note taking and essay writing sessions in college. It writes a bit smoother than a regular ballpoint, and the ink is also a bit darker. The most important thing here is the grip and barrel. The barrel is larger than the average pen, so it is easier to hold for longer periods of time, and the grip has a slightly squishy, yet still fairly firm, rubber section on it, which is much comfortable than many pens, at least in my opinion. You can also get this in other barrel types, including the Dr. Grip Full Black, which is not entirely black, as The Pen Addict pointed out. I'm a big fan of getting a good value, as evidenced by the title of the blog. Noodler's Ink is made in the U.S., and you get a bottle, filled to the brim, with vibrant ink. 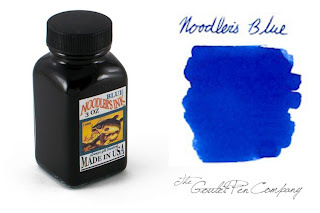 I've had pretty great experiences with most of the Noodler's Inks I have tried, and you can inks with wildly different properties and colors. Highly recommended. The Goldspot Pens 2011 Pen of the Year. 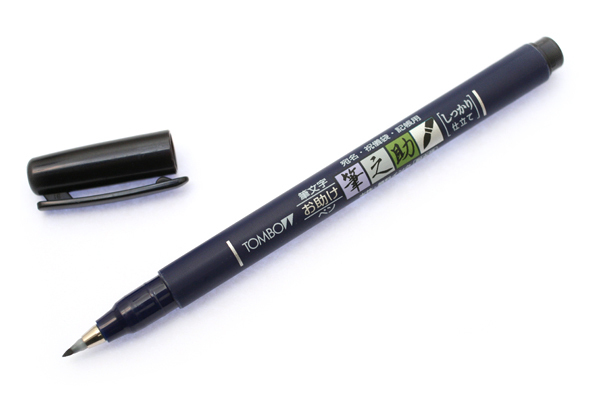 I reviewed this pen, and it was one of the best pens I have used, hands down. There are several barrels to choose from, as well as the standard nib sizes. You can also get incredibly smooth nibs in steel or gold. This is the priciest item on my list, but I think it is well worth the money. Leave one comment on this post between now and Thursday, December 8th, 12pm, CST. I will select one winner from the comments. You are limited to only one comment, and any duplicates will prohibit you from winning. I will use the Random.org to select one of the comments at random. The winner will be posted on Friday, December 9th. You will have one week to e-mail me with your mailing address. 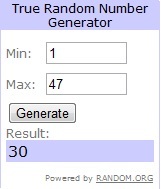 If the selected winner does not respond, I will select a new winner.